Our rental homes with private parking typically include a parking space for one vehicle located behind the home, accessible through the lane. 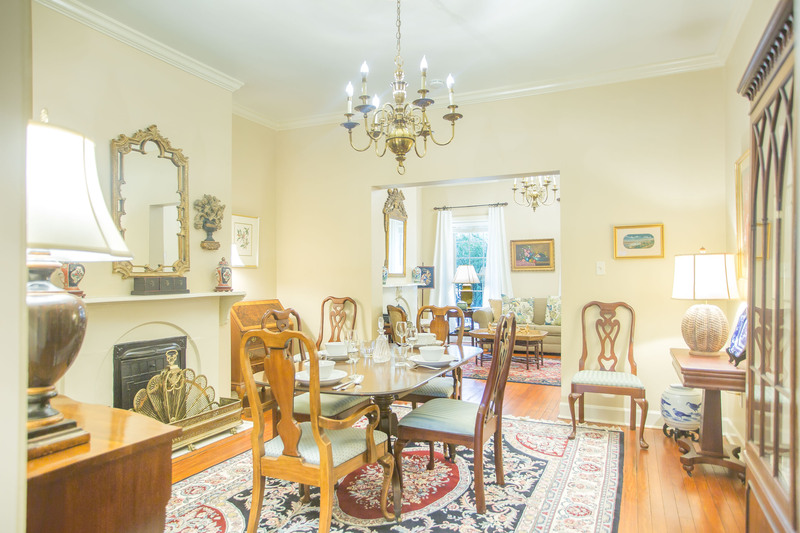 Should your group be caravanning into town, these Savannah vacation homes will either have on-street metered or non-metered parking options for additional vehicles. Drayton Place is an excellent choice for travelers looking for a longer stay, or guests on a budget. The location is perfect for biking downtown, and the home has everything needed for a great vacation! 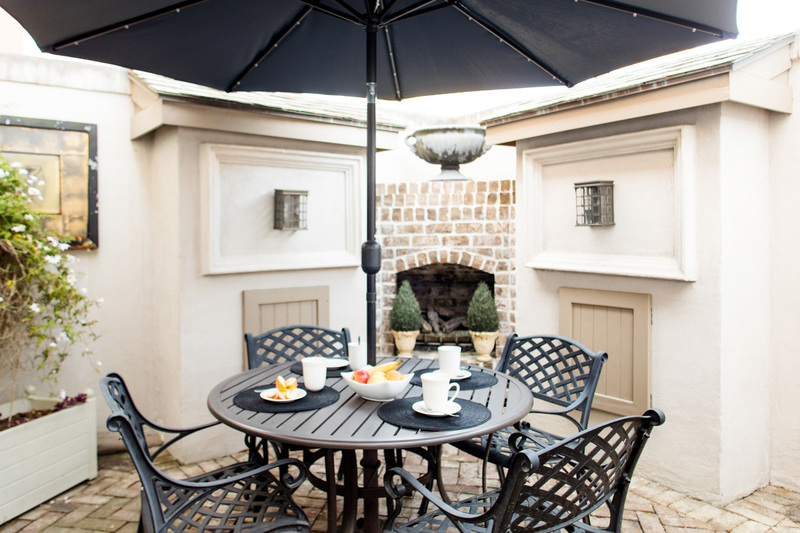 A romantic getaway and thoughtfully decorated home with an exquisitely maintained courtyard. This renovated garden home gets plenty of light from its large windows in the bedroom and living room. 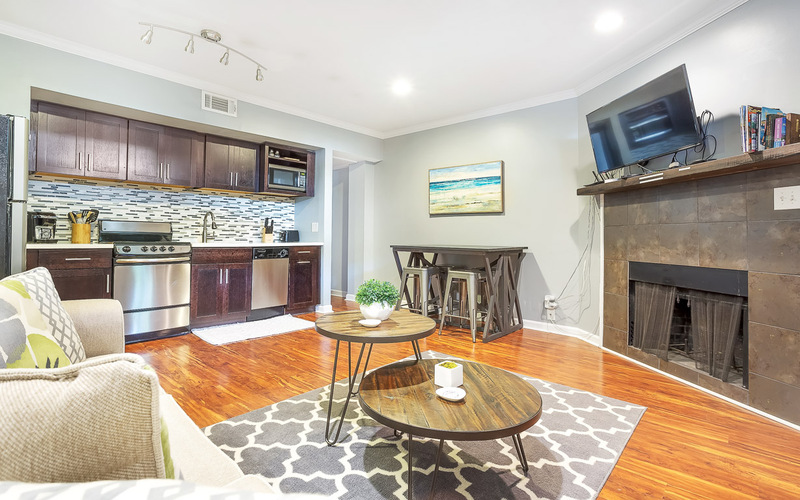 A beautifully renovated home, this 1 bedroom/1 bath has been decorated with lots of local art. 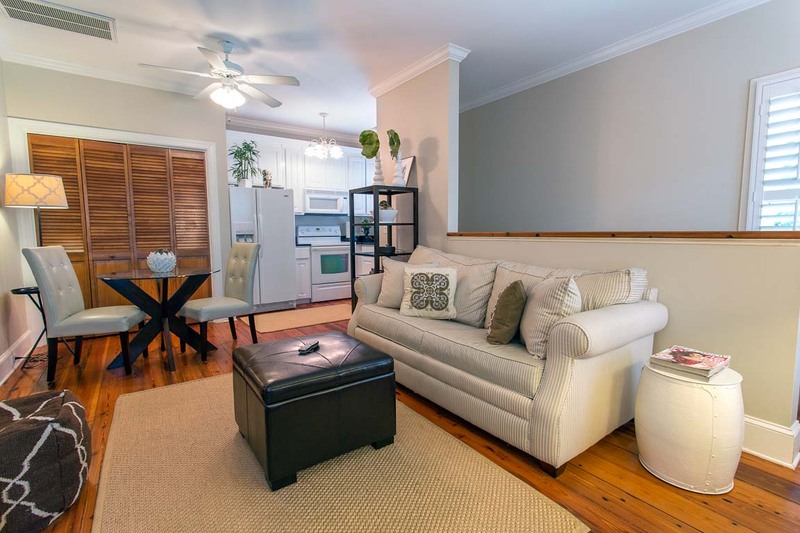 Enjoy everything you need for a restful and relaxing stay in this one-bedroom garden apartment in Savannah's historic district. 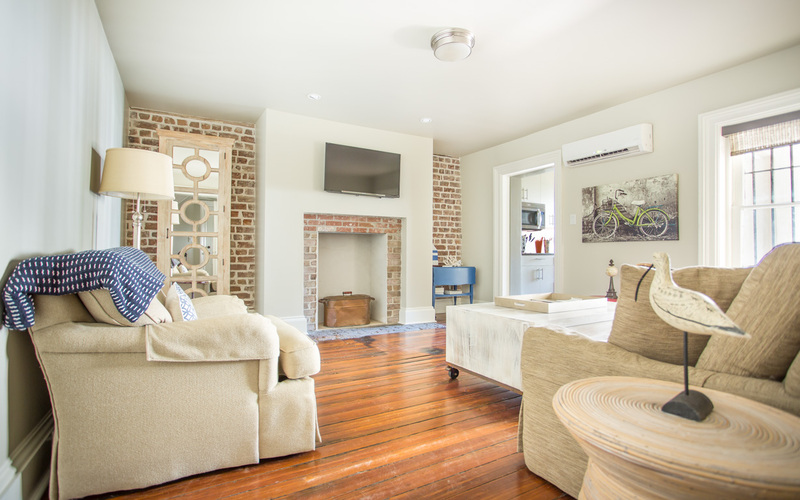 A renovated ground level apartment in Downtown Savannah's Historic District on famous Gaston Street, off of Forsyth Park! 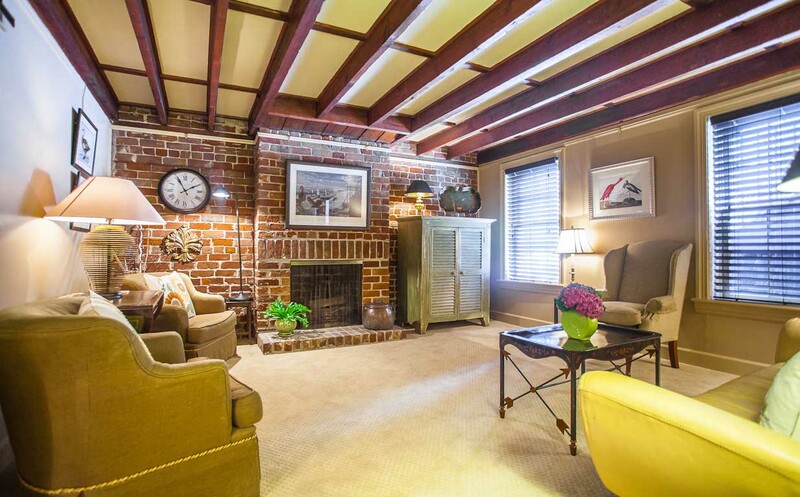 Located directly behind Crawford Square Retreat, this cute brick carriage house sits atop its own garaged parking space. 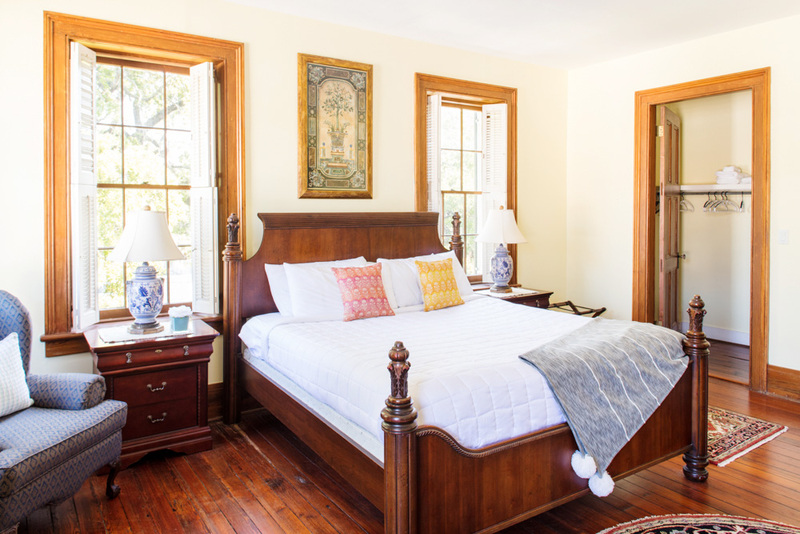 Crawford Square Carriage House provides an intimate space for two, ideal for a romantic getaway. 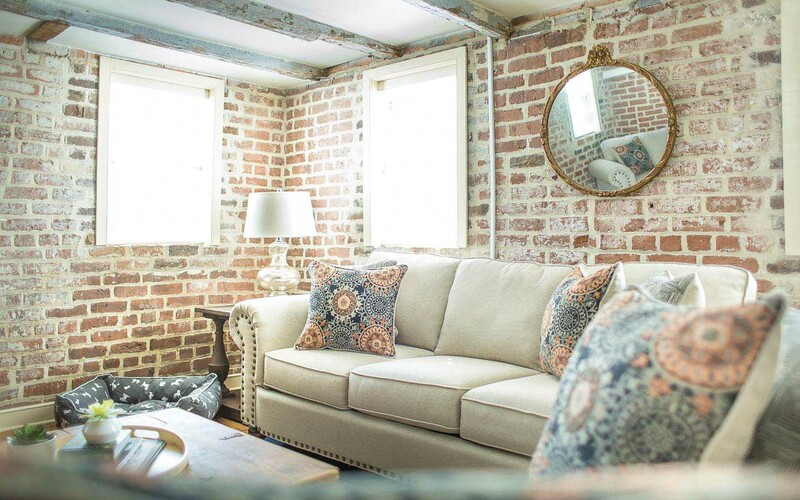 If these walls could Savannah's rich history and surround yourself with exposed brick, reclaimed wood beams, and original fireplaces. Just off Warren Square, you're only a few steps away from River Street! 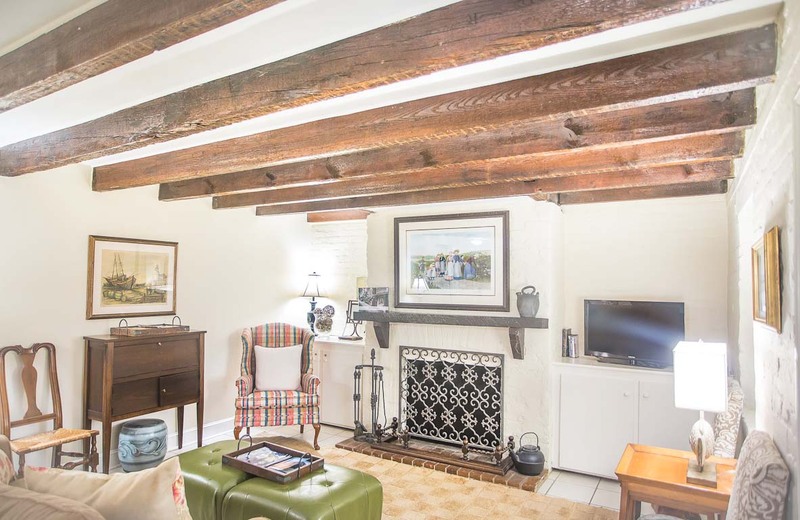 Built in 1820, this beautifully restored cottage is a true piece of Savannah history. 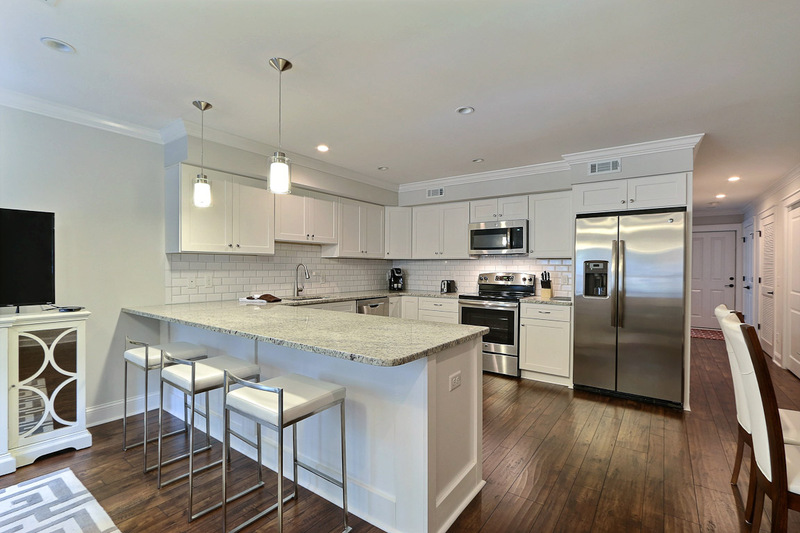 Enjoy original architectural features with the modern amenities (and private parking!) you expect on vacation. Perfect couple's getaway! Decorated in Old English Cottage style with an exquisitely maintained courtyard. One bedroom, one bathroom garden apartment on beautiful Gaston Street. 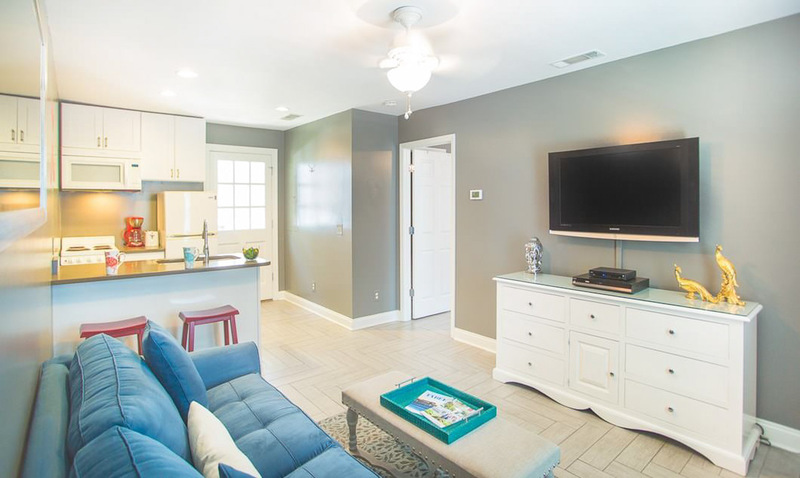 The upscale-yet-relaxed style of our Price Street retreat will make the perfect getaway spot for a couple or small family. 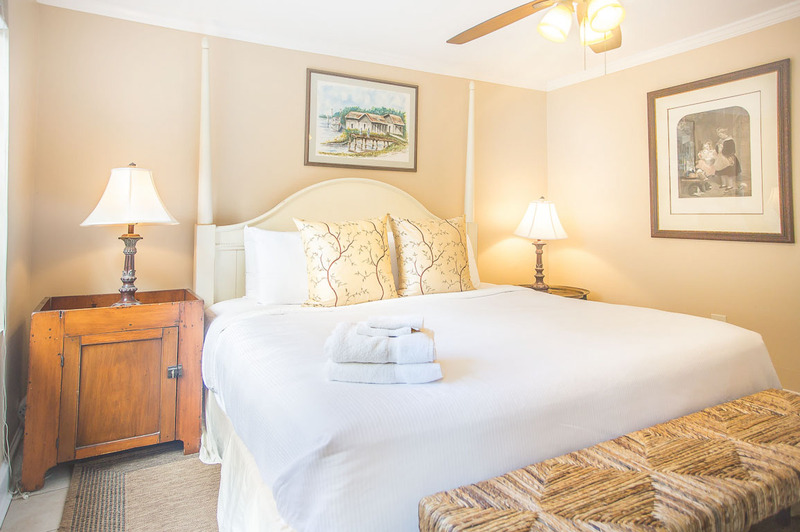 The one bedroom, one bath apartment will easily accommodate up to four Lucky guests. Great Location and a reserved off-street parking space. 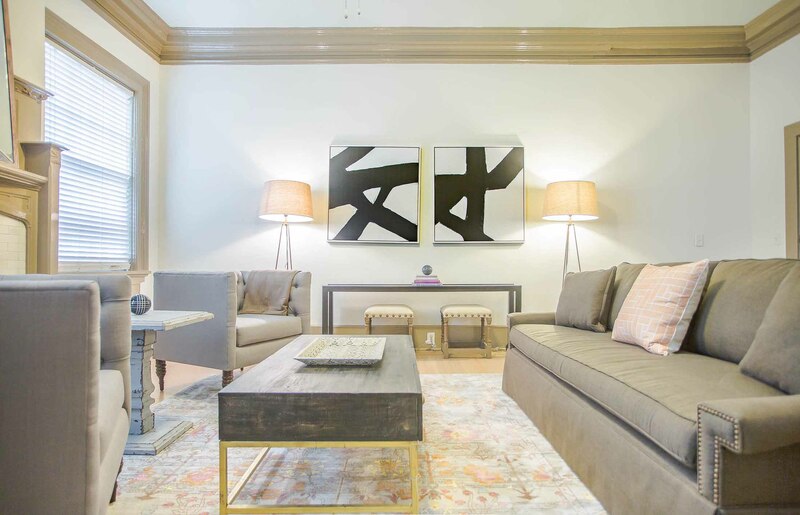 This Savannah condo offers soaring ceilings and Savannah heart pine flooring. Large windows offer a great view and lots of light but also privacy since the unit is on the third floor. This historic home on East Congress Street comes with its own private courtyard and parking space. 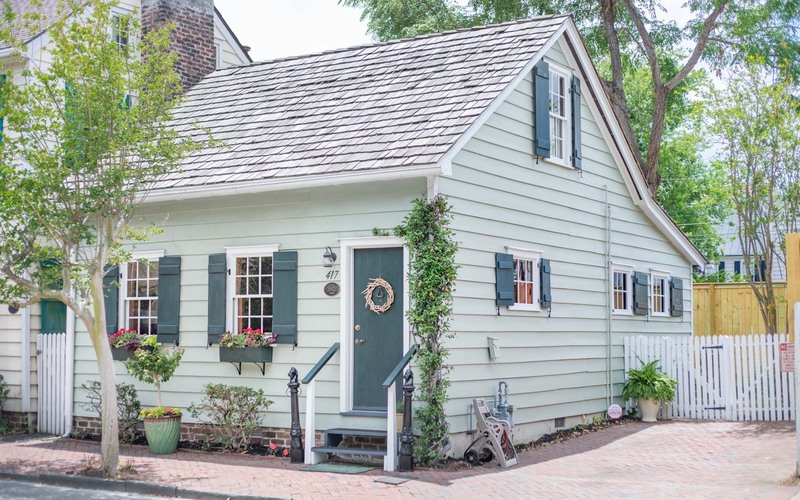 Easy walking distance to River Street and great restaurants like The Pirate's House make this home a can't miss! Located right off of beautiful Tattnall Street, this home is sure to please!